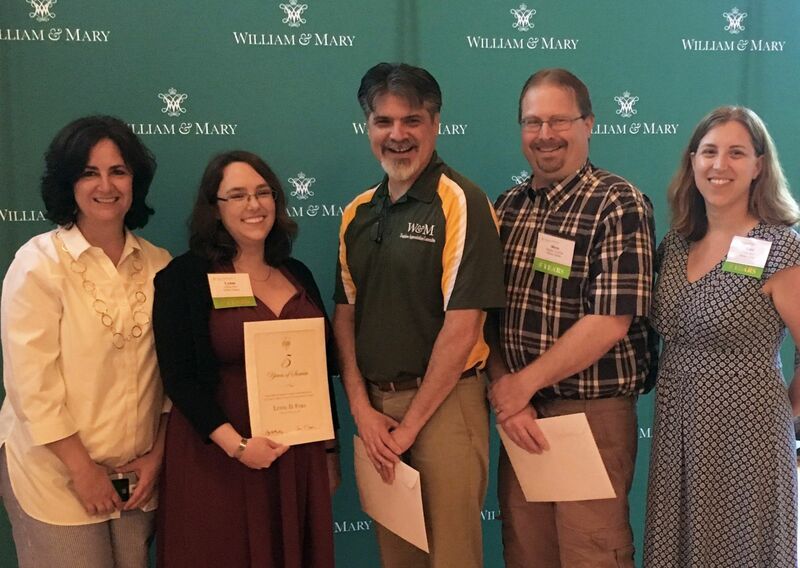 Last month, William & Mary employees were recognized for reaching milestones in their years of service to the university. Those recognized served W&M for five, 10, 15, 20, 25, 30, 35, 40, 45 or 50 years. Virginia Institute of Marine Science employees were recognized at a separate ceremony. View the full list here. Dean of University Libraries Carrie Cooper (far left) celebrates with library employees reaching years of service milestones: (from left) Lynne Fors, David Morales, Steve Locklin and Tami Back.